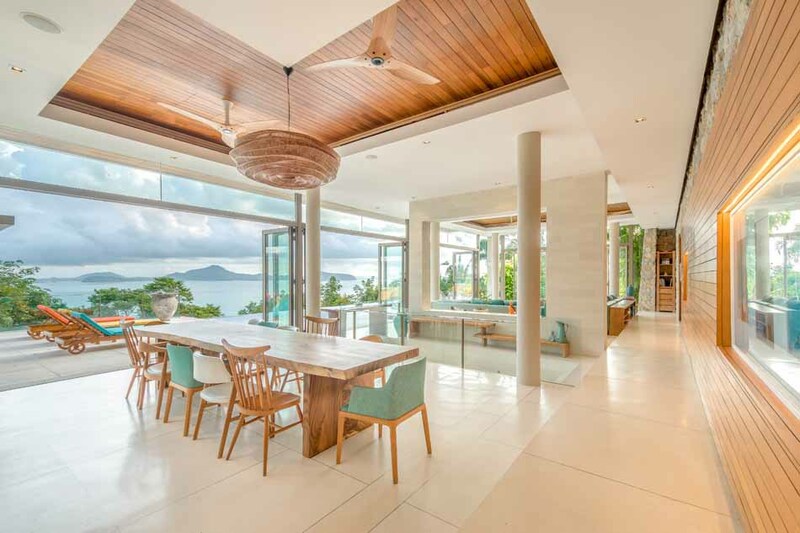 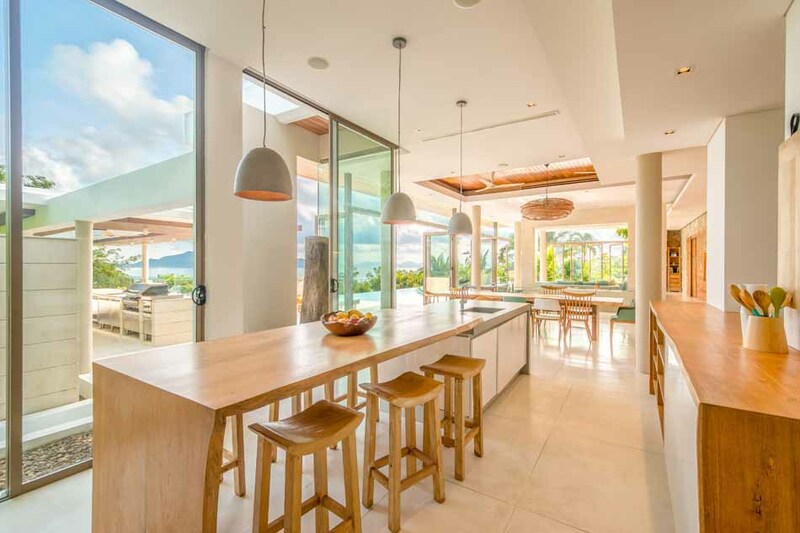 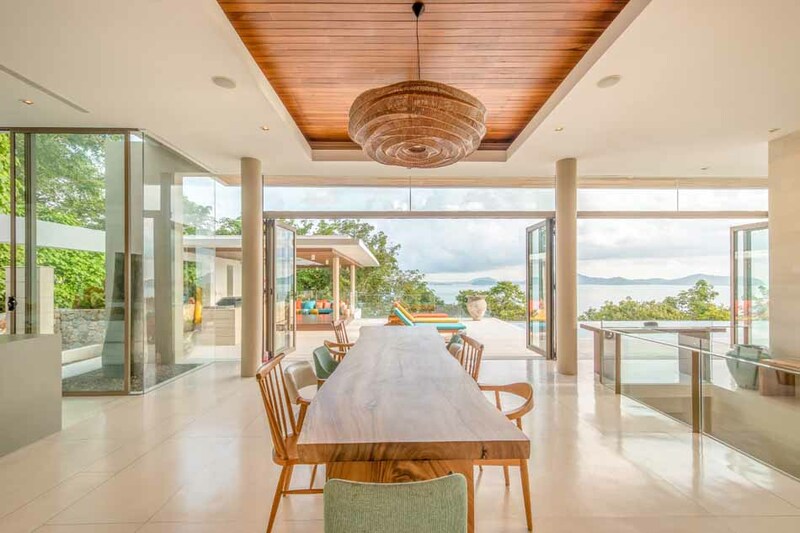 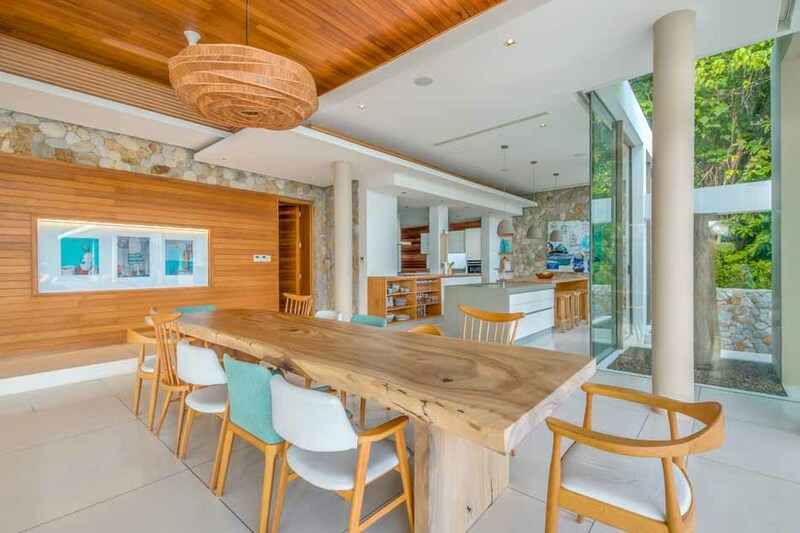 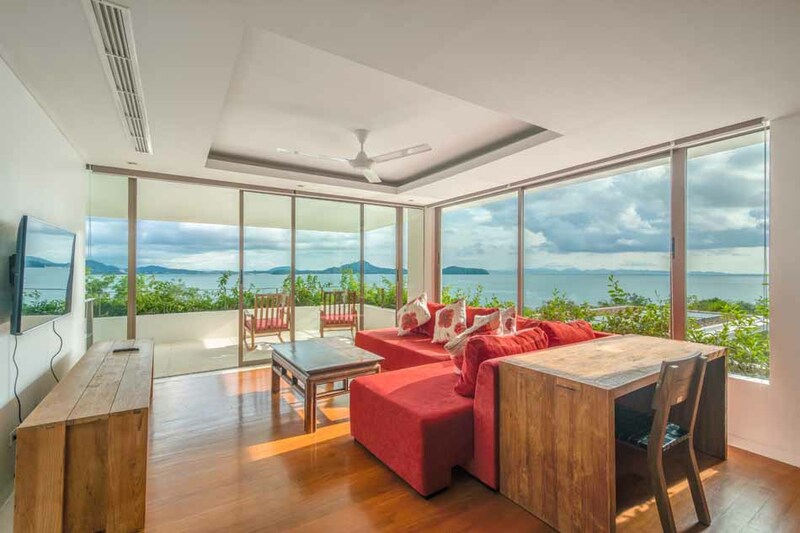 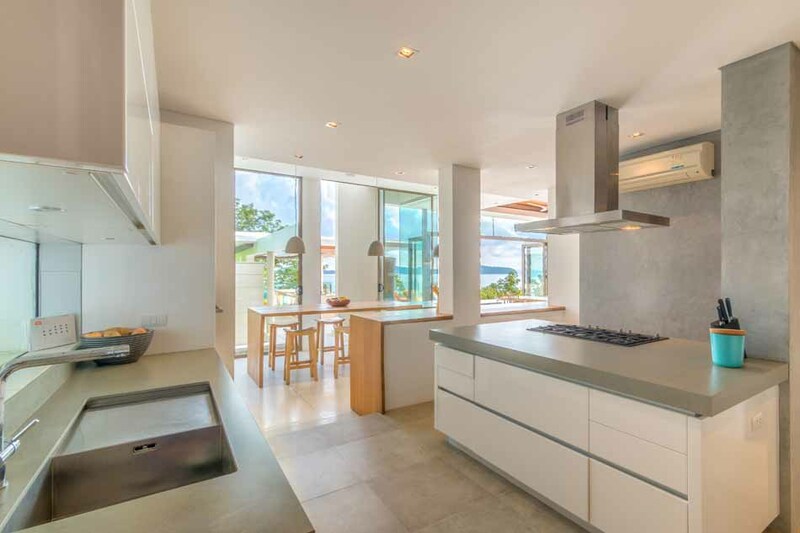 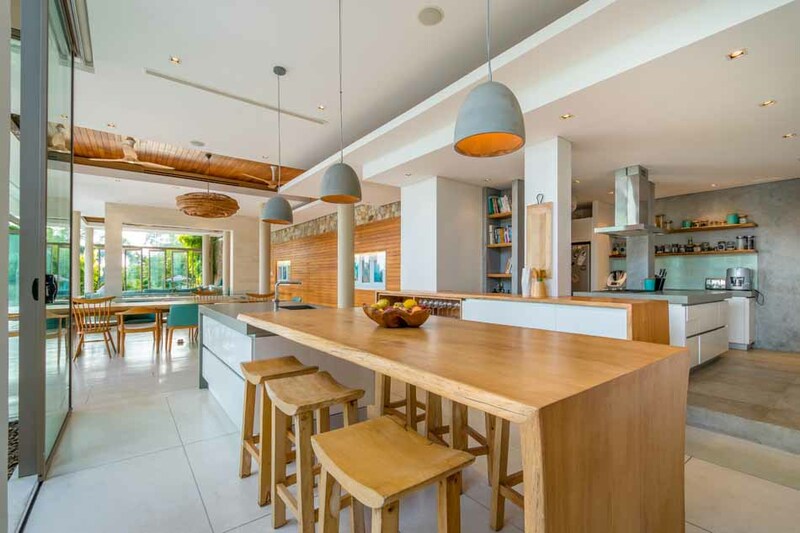 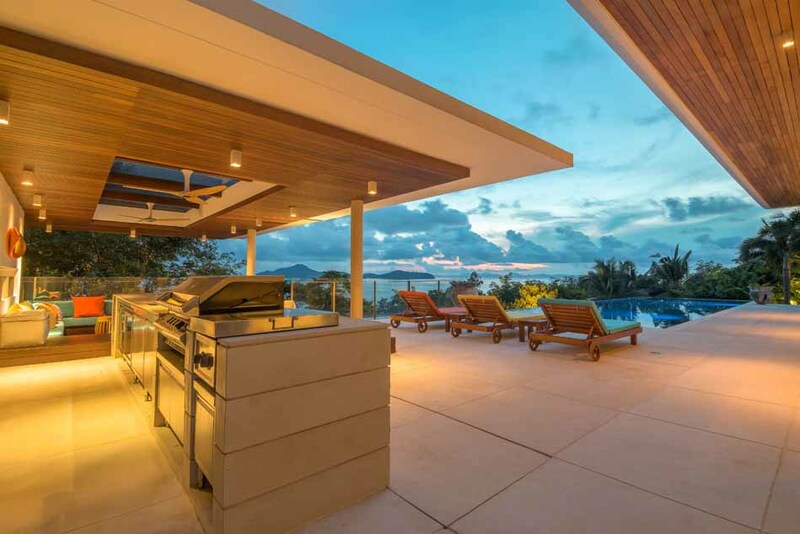 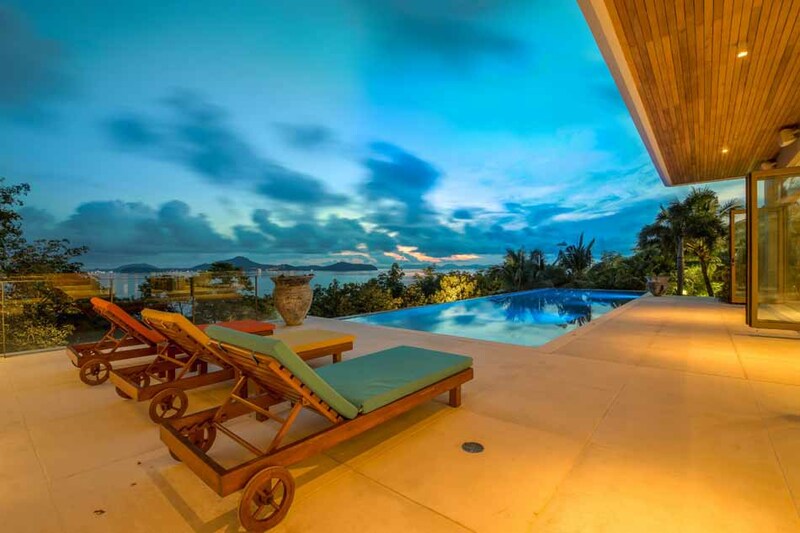 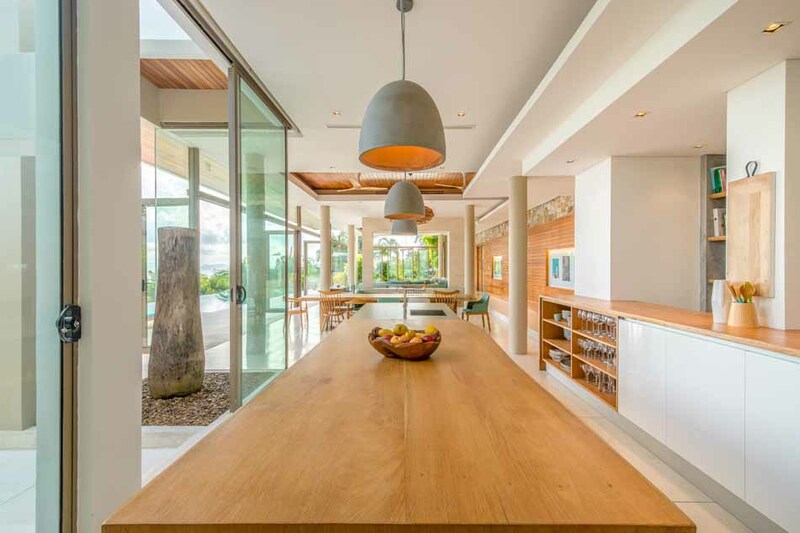 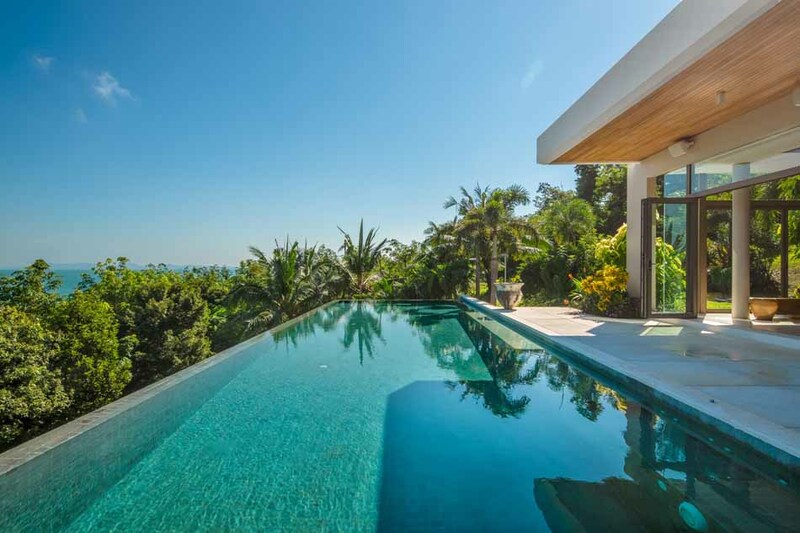 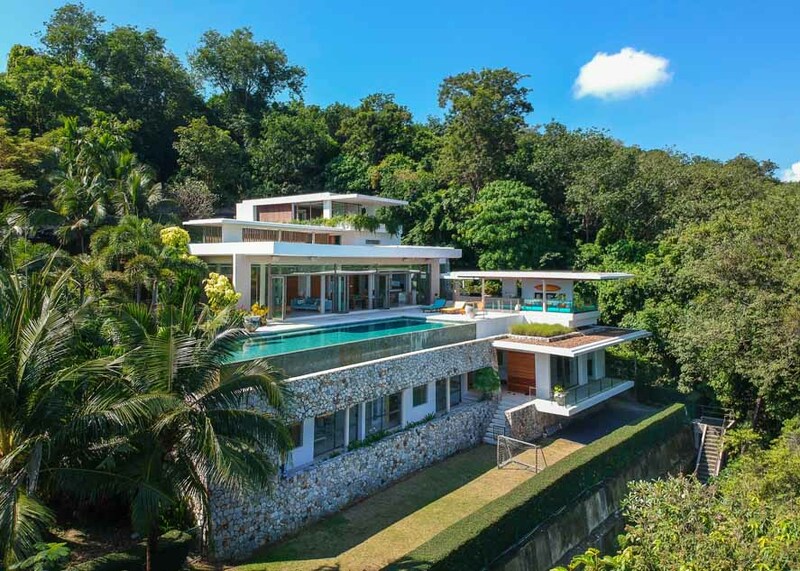 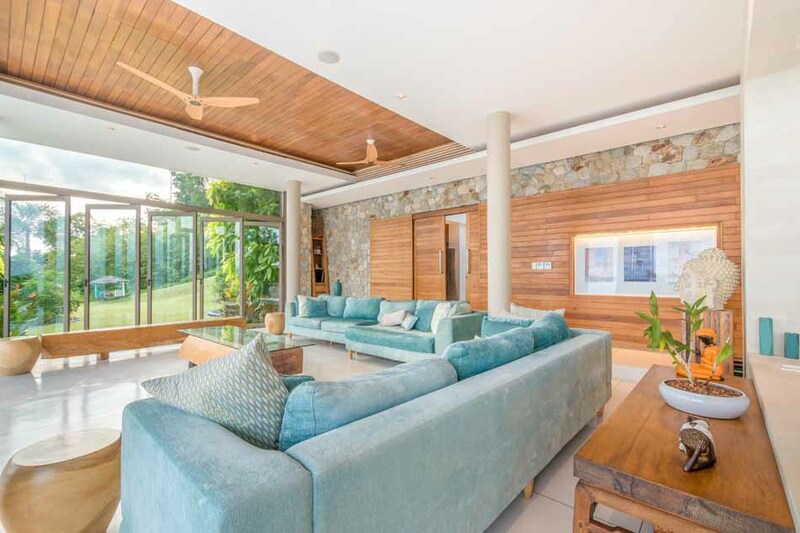 This luxury 5-bedroom pool villa is truly a tropical paradise niched in Phuket ‘s Panwa Peninsula on the West coast of the island. 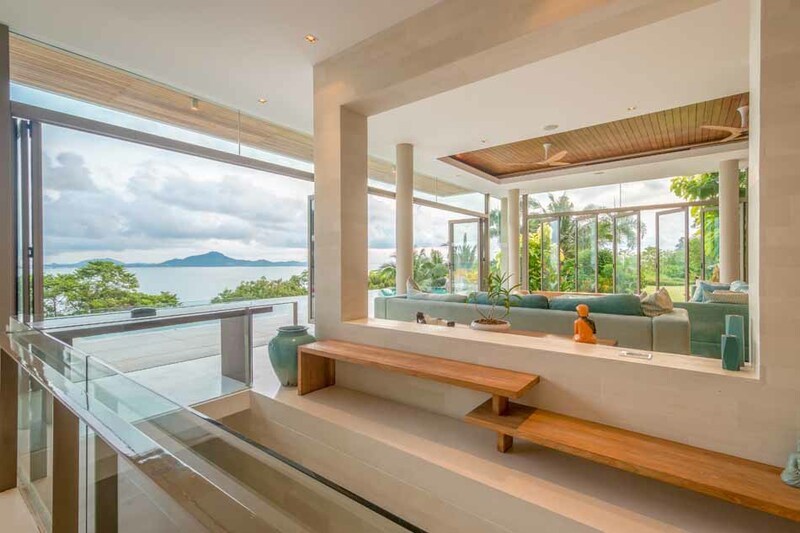 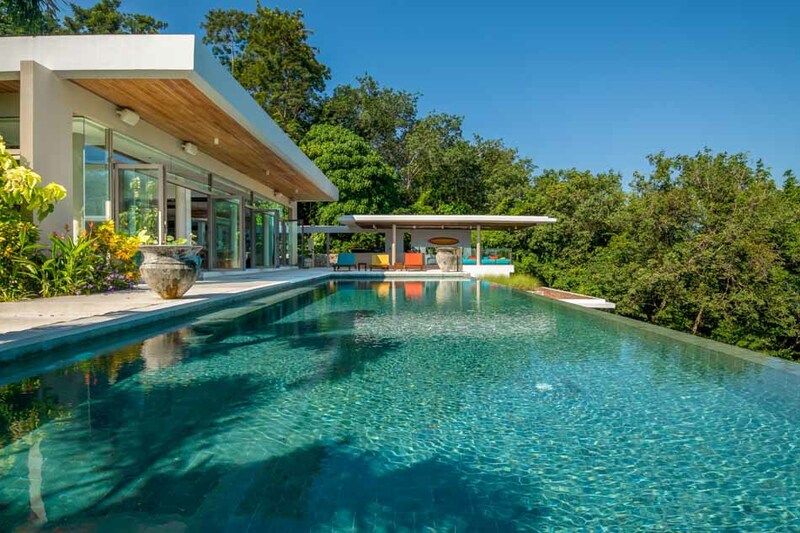 Masterful design and modern luxury created by Gary Fell of GFab. 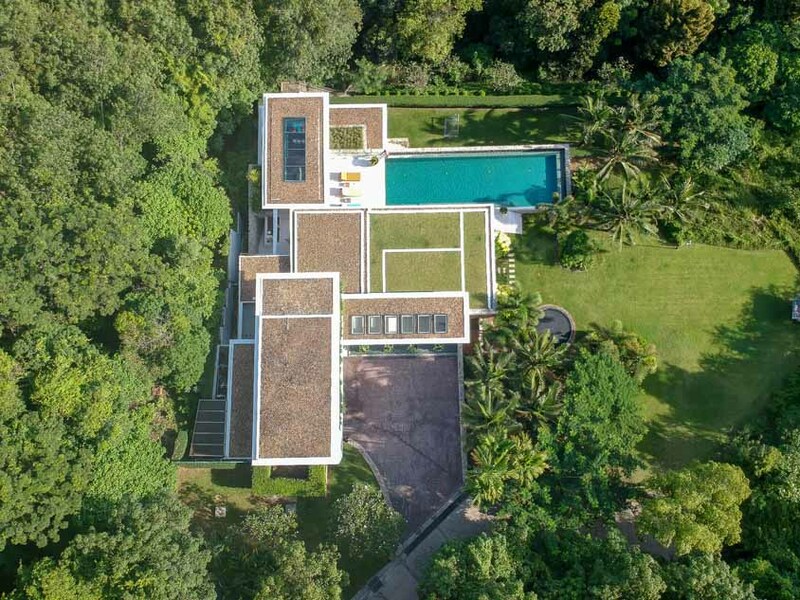 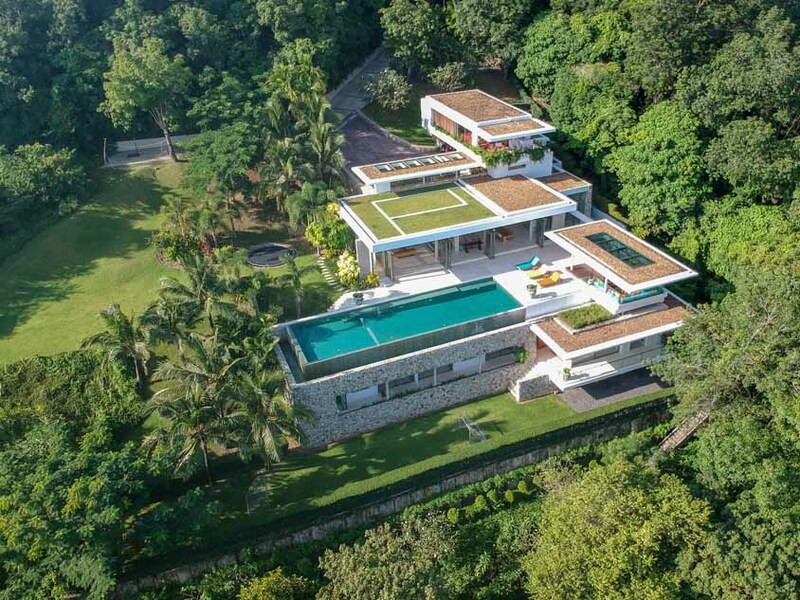 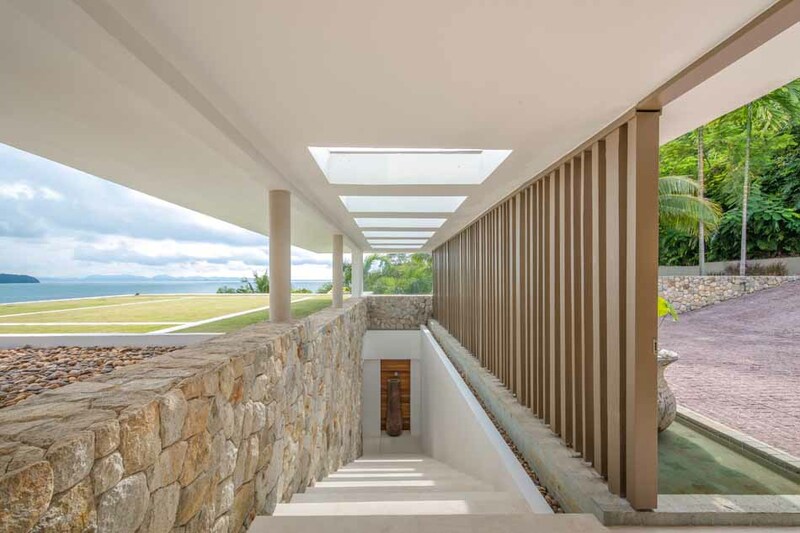 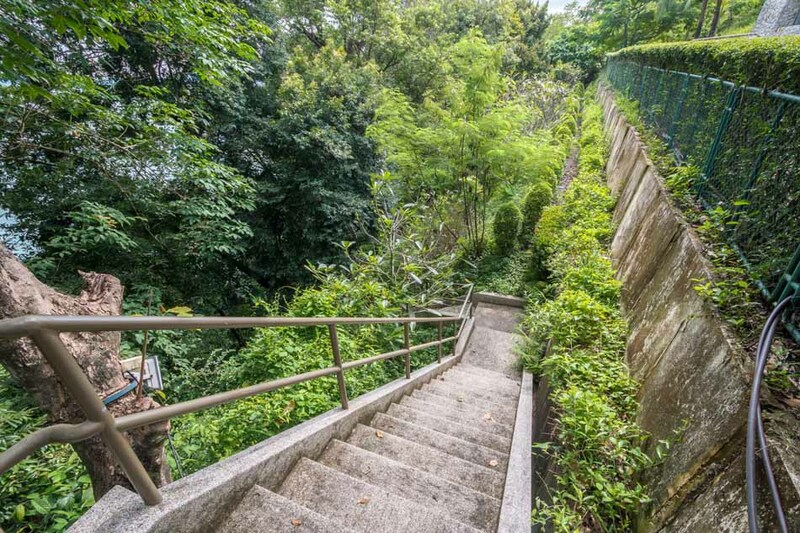 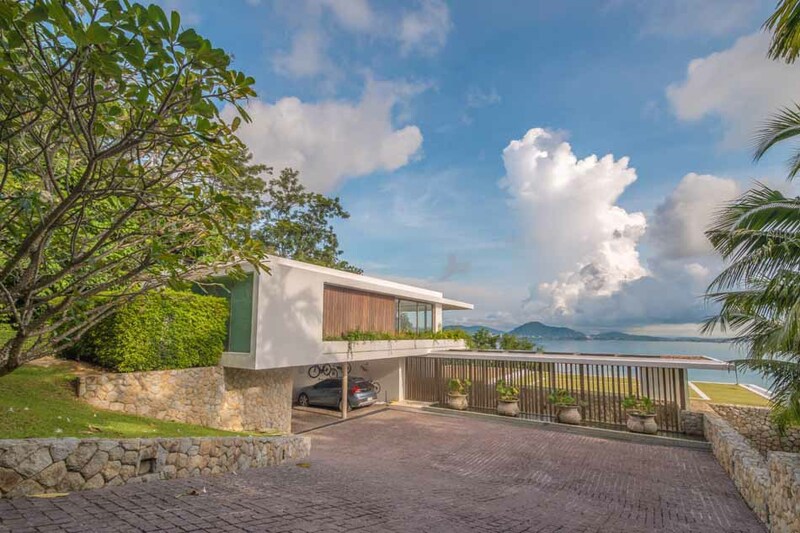 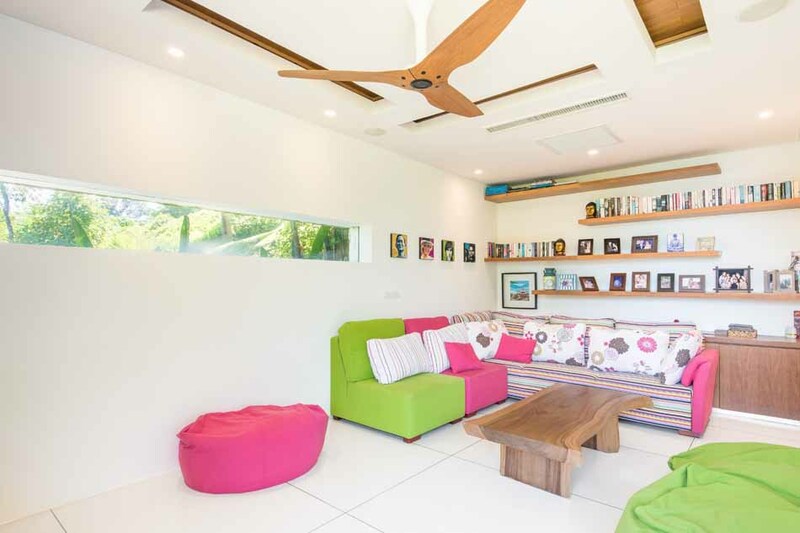 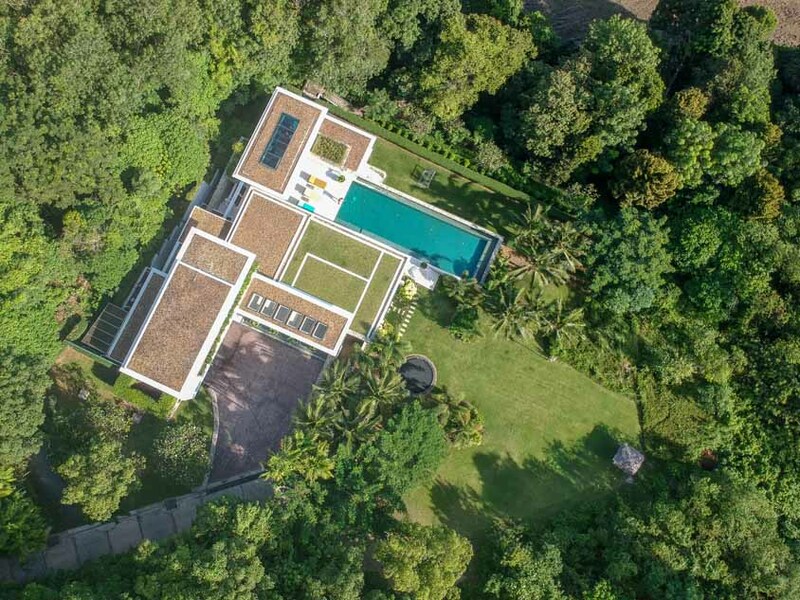 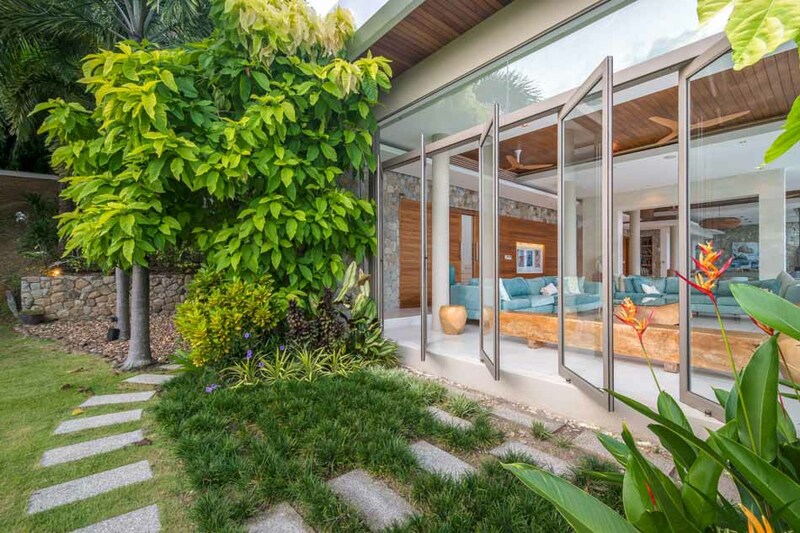 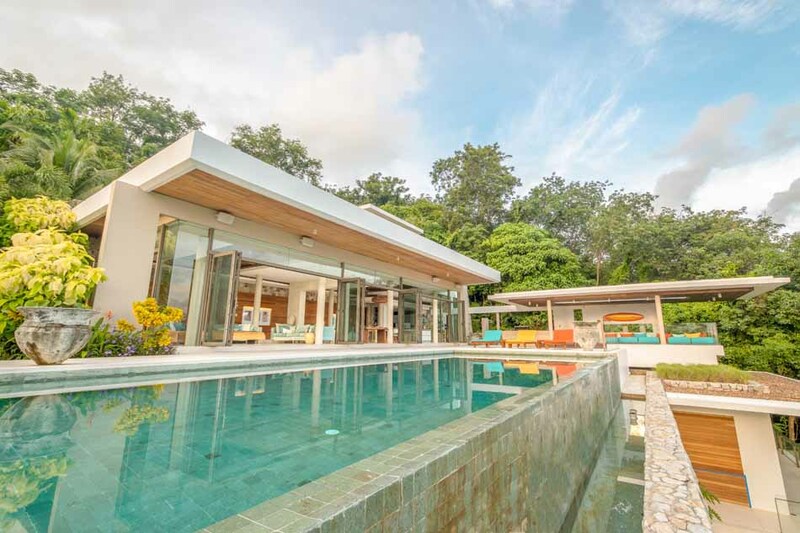 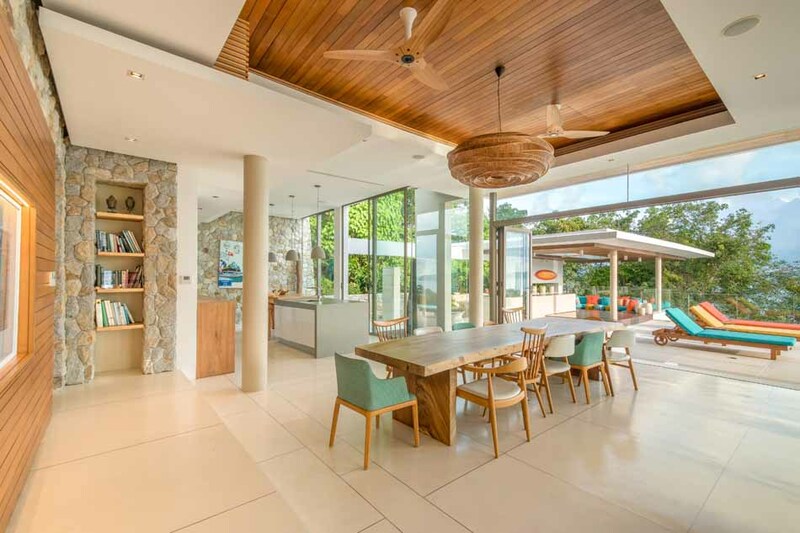 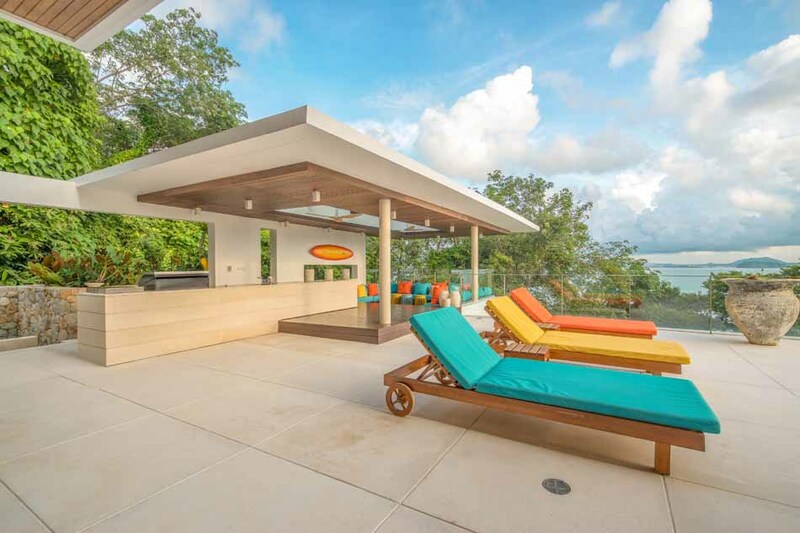 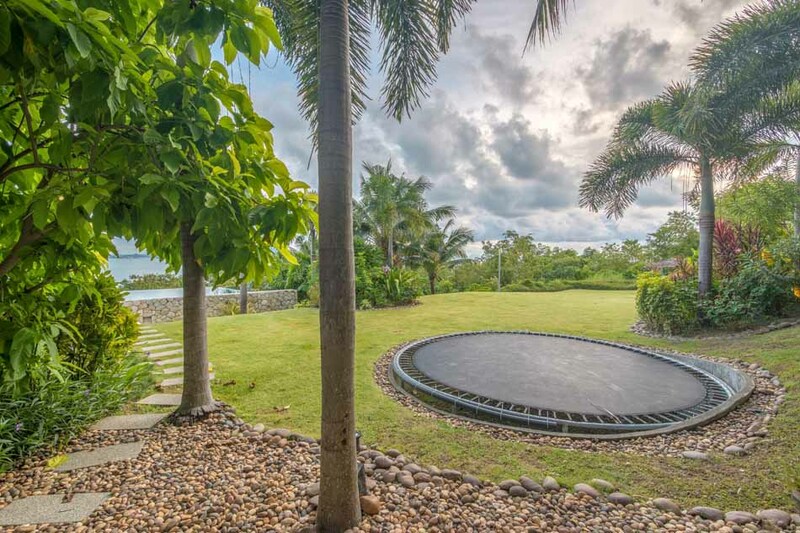 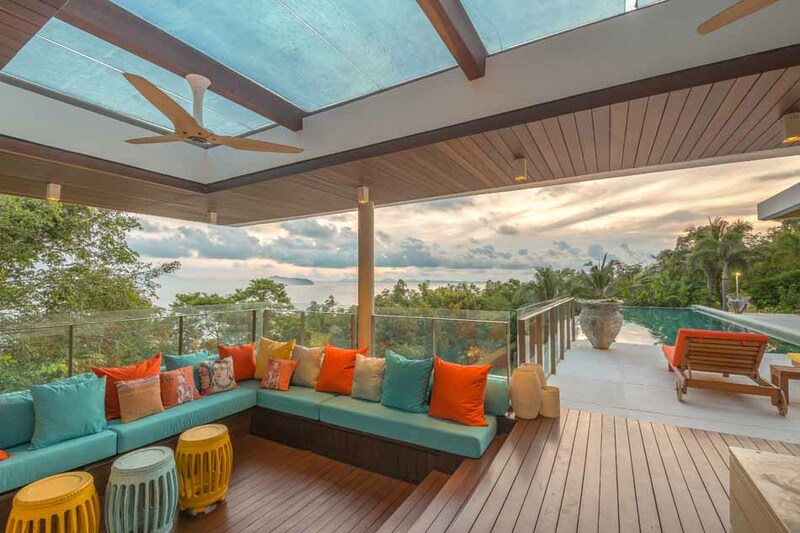 This house is one of a kind set on 3,100 square meters amongst stunning jungle on the quiet side of Thailand’s largest island, but only 10 min to Central and Phuket town and 5 min to Cape Panwa quite beaches and the world-famous Sri Panwa Resort. 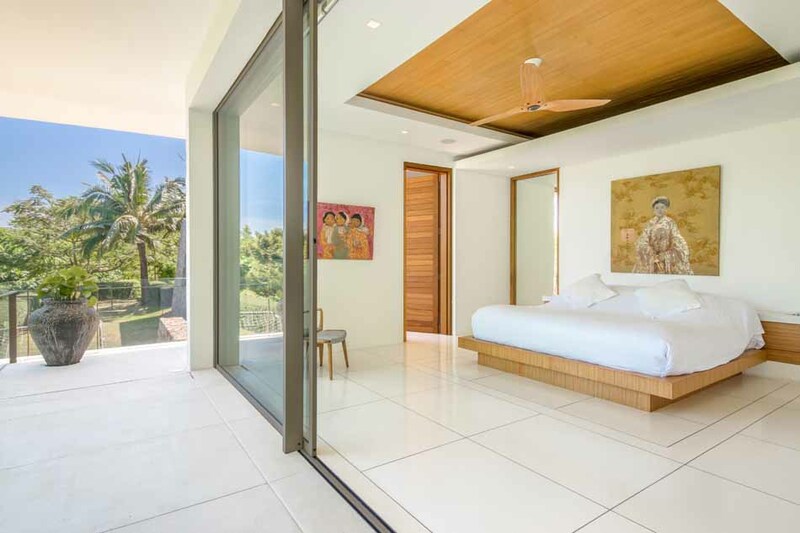 The floor plan encompasses six spacious bedrooms. 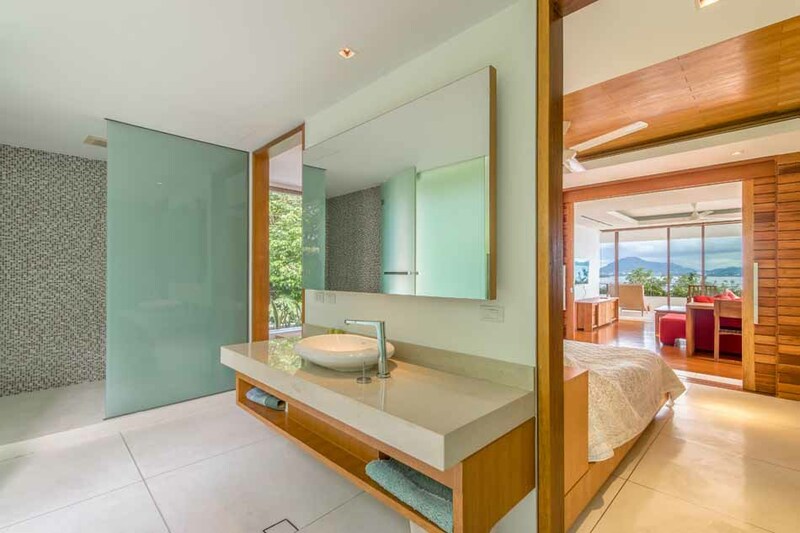 The first Master Suite is set on its own floor with an accompanying ensuite, lounge room and balcony with spectacular views, ensuring ultimate privacy. 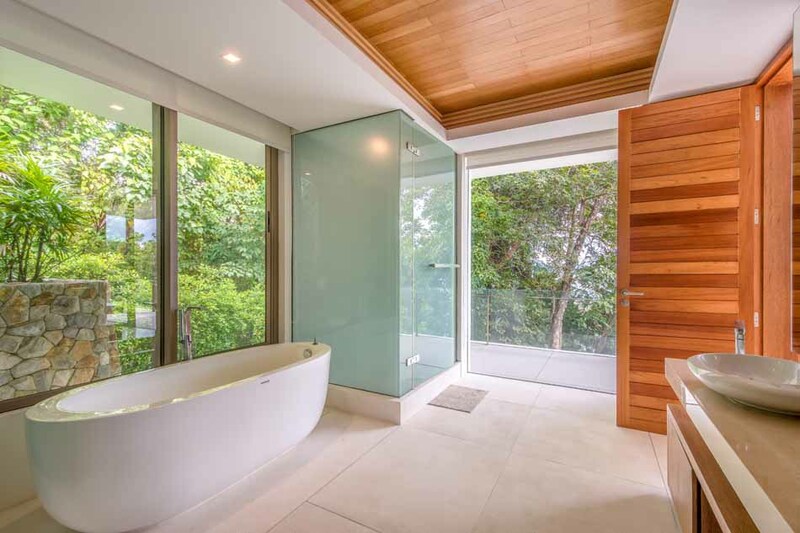 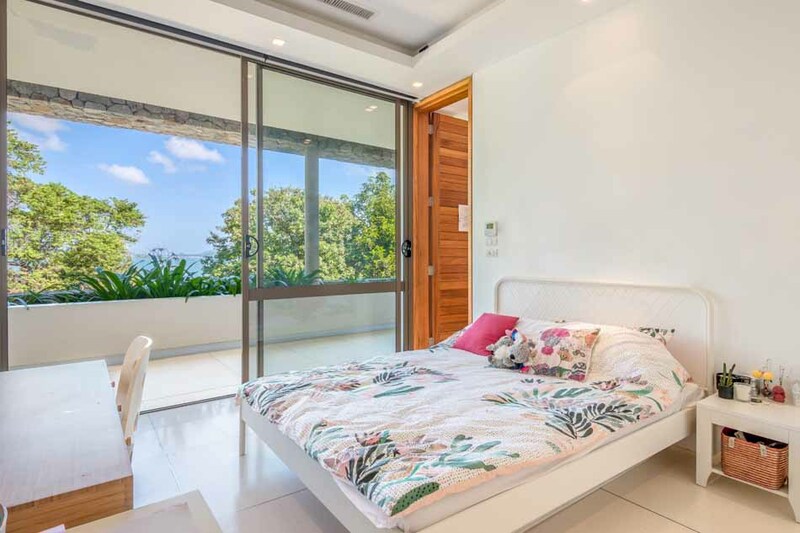 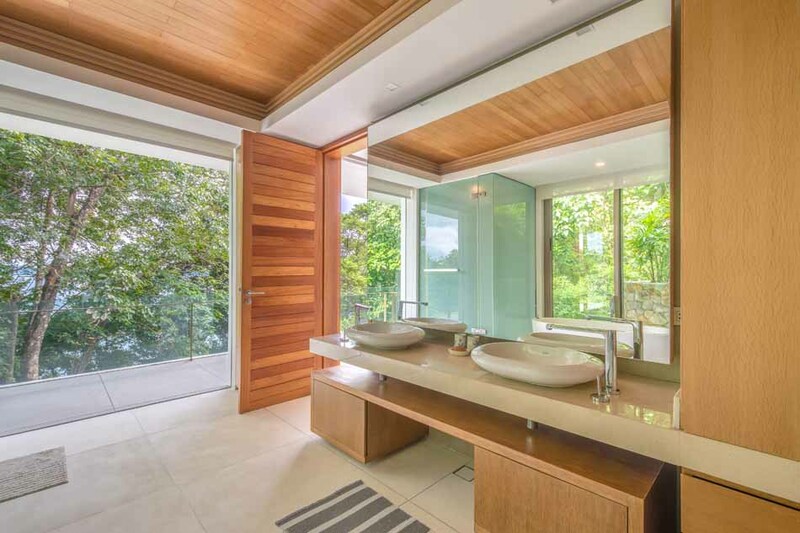 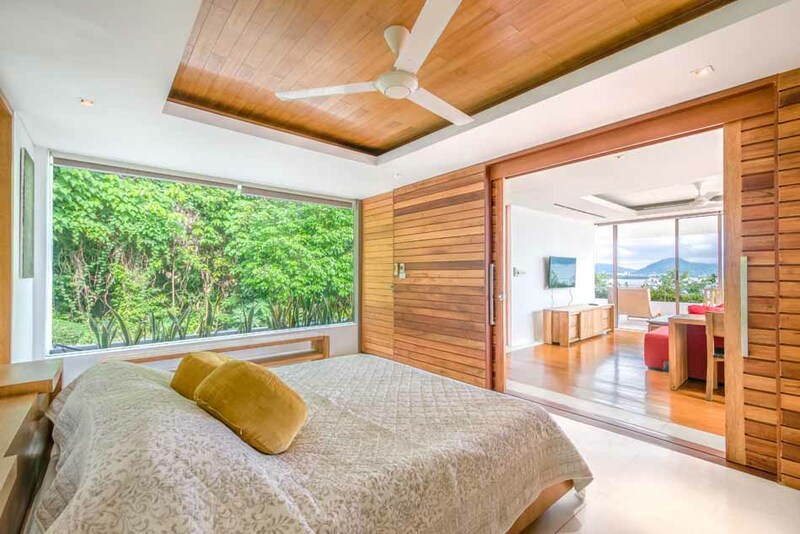 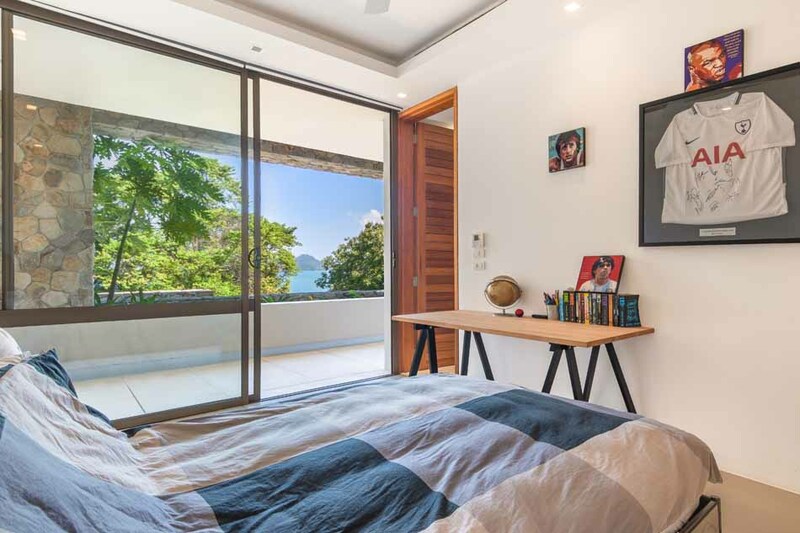 The second master bedroom, complete with walk-in-wardrobe and ensuite, ensures a private space, with a beautiful view of the native trees and sea breeze. 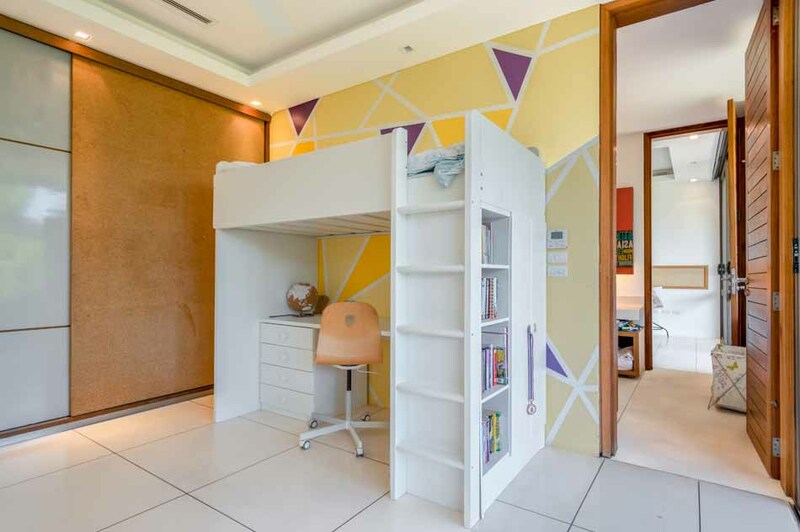 The three standard rooms have ample space. 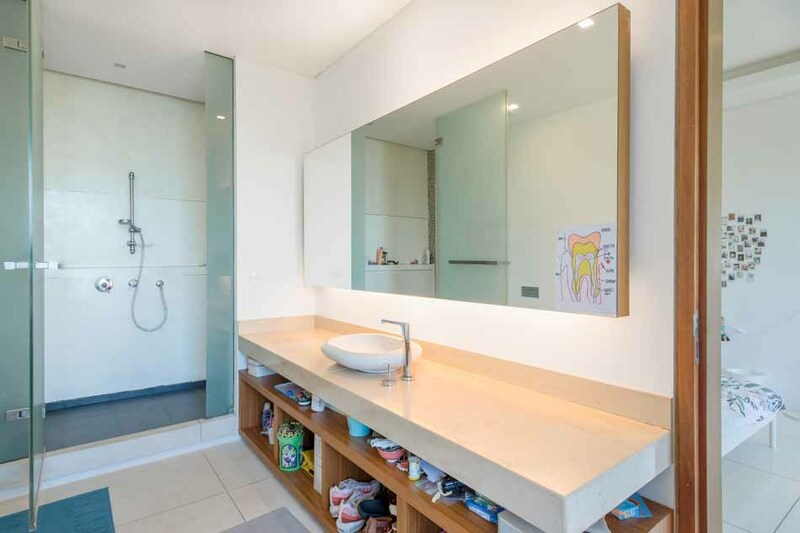 One has a generous ensuite, and the other two share a Jack and Jill bathroom and all share a TV room. 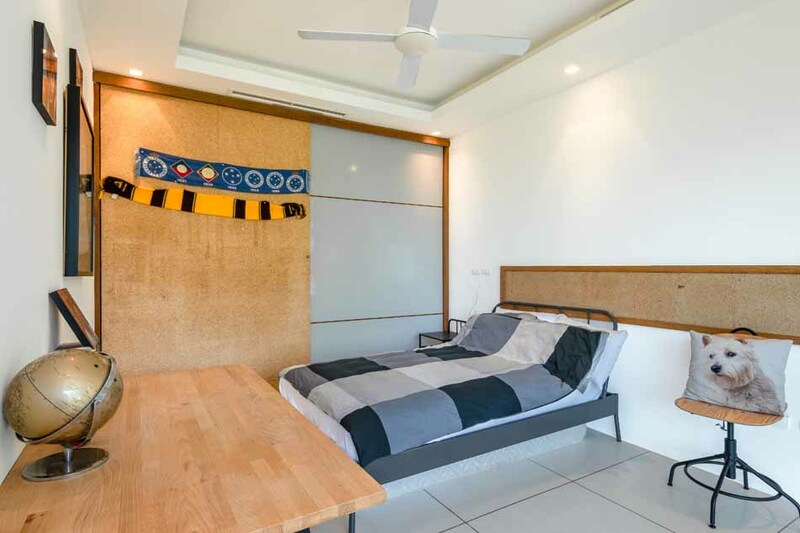 There are separate maid quarters conveniently located off the laundry area neatly designed away at the BOH. 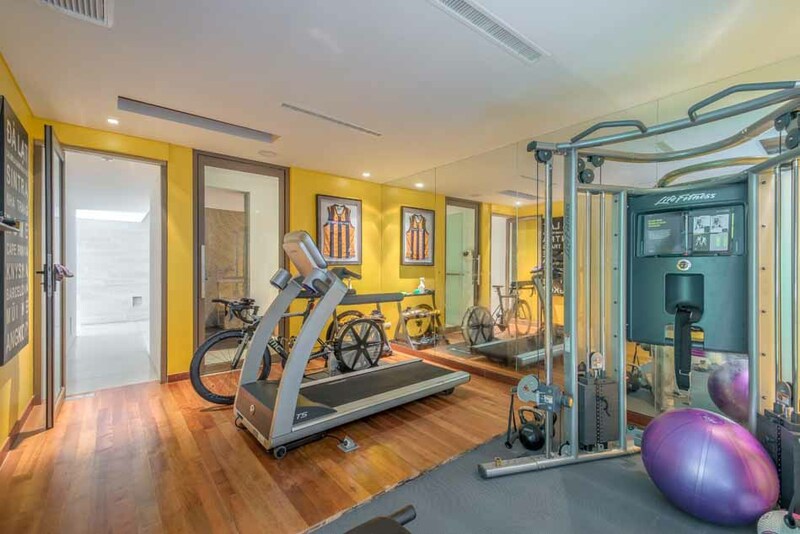 A modern gym and steam room sits between the upper and lower levels. 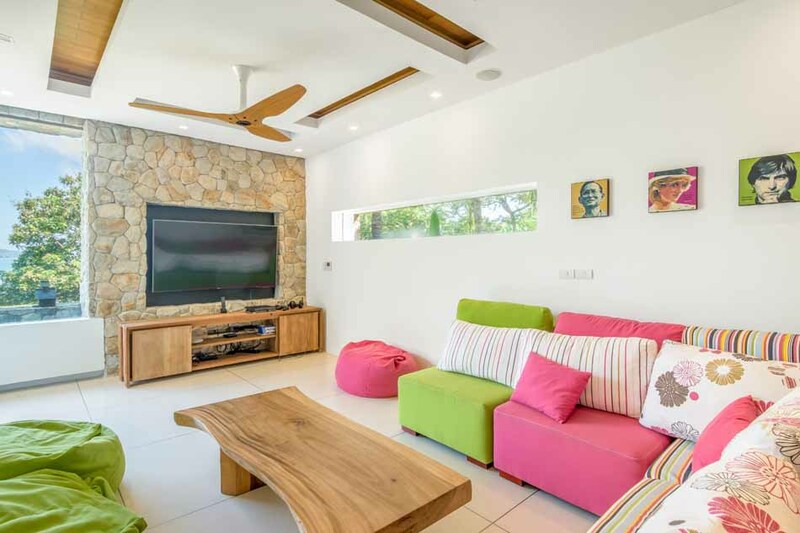 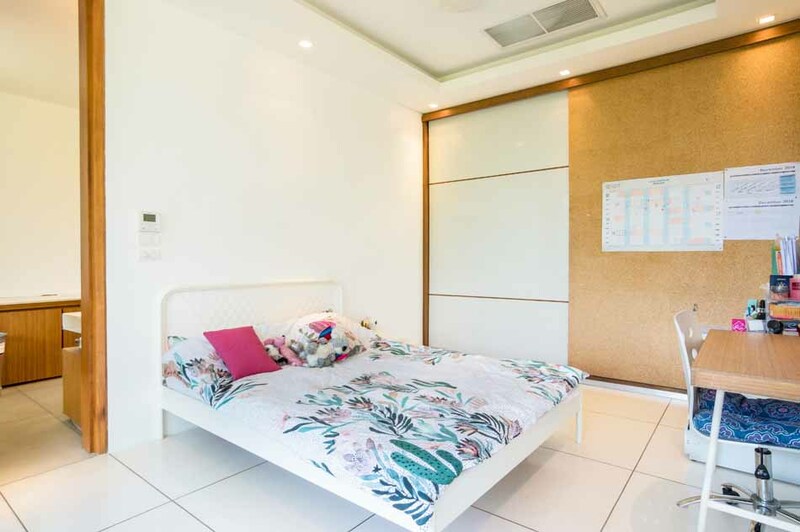 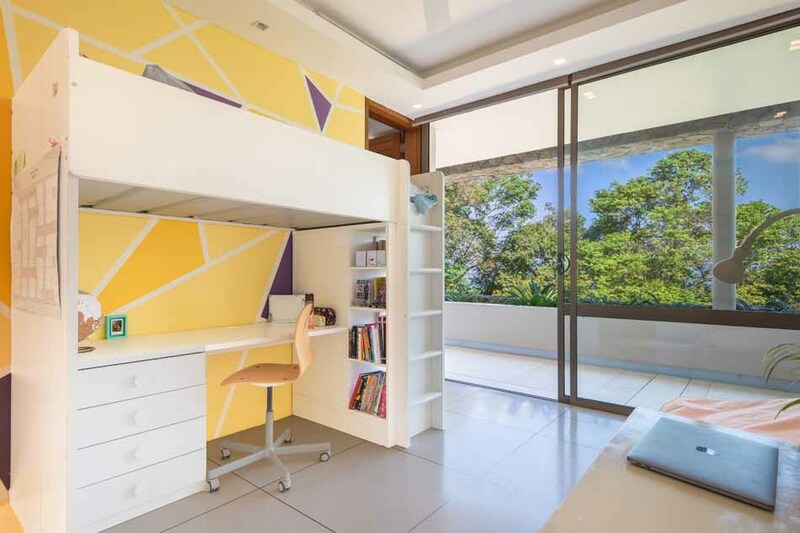 The property is fully air-conditioned with VRV units for comfort, LED lighting, and a Sonos automated sound system with top-of-the-line speaker systems. 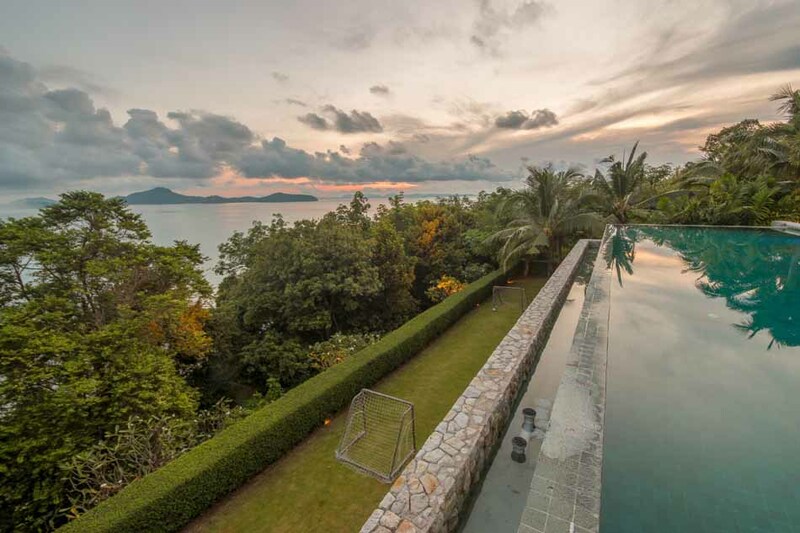 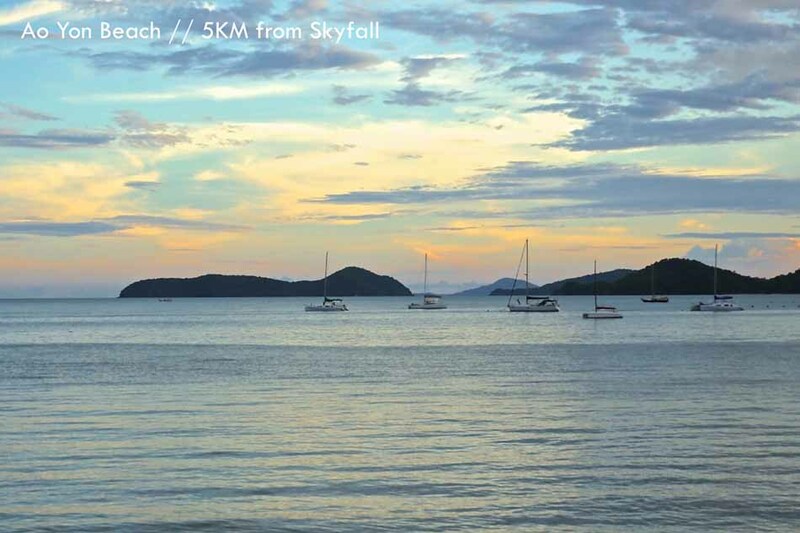 The Panwa Peninsula continues to carve a unique reputation as an upscale destination in Phuket. 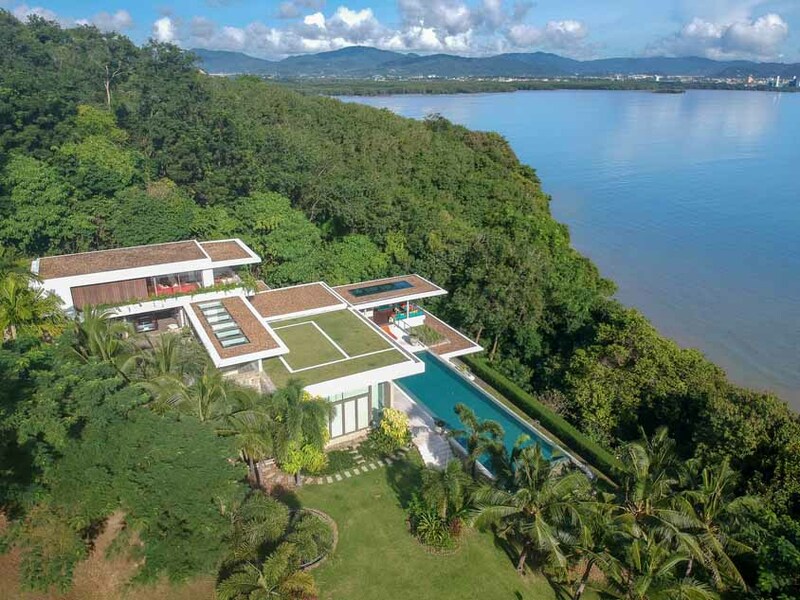 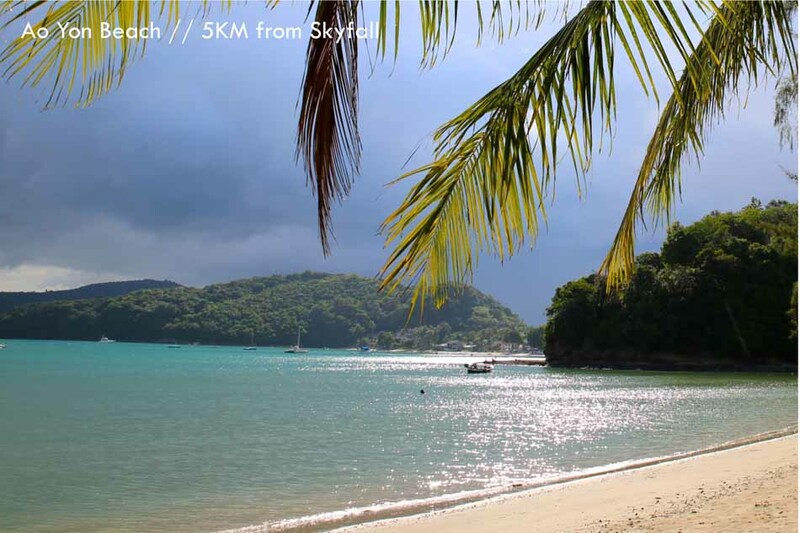 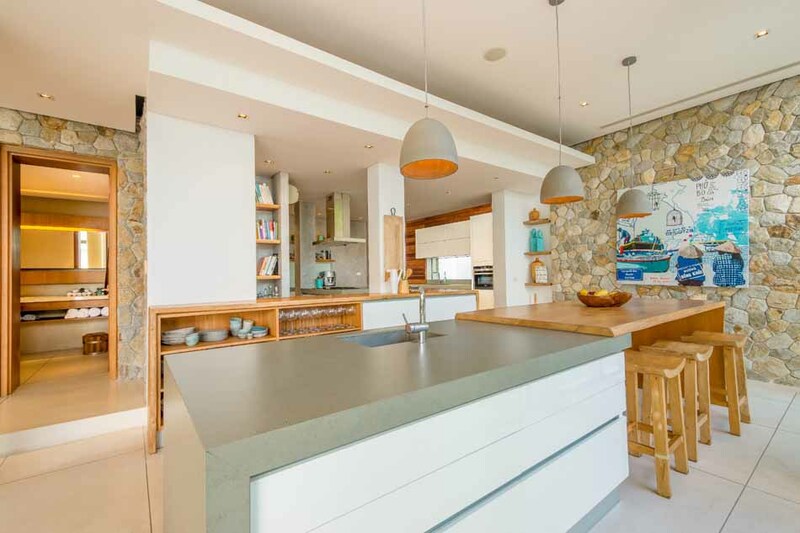 There are a growing number of excellent places to eat or relax with a drink, notable establishments include; Baba Nest set within the Sri Panwa estate, The Cove and The Brasserie Yacht Club both of which overlook the unspolit local Ao Yon Beach.